Metamaterial Technologies Inc., Dalhousie University, and Mitacs on Tuesday announced a $1.62 million project to explore light manipulation for use in a range of commercial applications. The project will be the largest ever financed in Atlantic Canada by Mitacs, a national non-profit organization that finances research projects between industry and universities. It will allow scientists to research metamaterials – materials whose compounds are not found in nature – that have an impact on light. MTI is dedicated to producing these light-altering metamaterials and is already working with Airbus to produce metaAIR, a transparent screen that fits onto cockpit windshields to filter out laser beams. The company is also working on products that can enhance solar power and provide other functions. • Metamaterials that absorb light in ultra-thin solar cells – MetaSOLAR, MTI’s highly efficient solar panel for solar-powered aerial vehicles, will collect light from all angles and absorb it across the most useful parts of the spectrum. The technology will be ideal for lightweight aircraft and vehicles, where efficiency and weight are of prime importance. • Stronger light-emitting diodes, or LEDs – This portion will research devices that can be mounted on existing LEDs to substantially improve their brightness. • Optical filters based on metamaterials – This part of the project will develop next-generation optics for augmented reality applications. It will bring together experts from the fields of materials science, chemical engineering, nanotechnology, photonics and metamaterials. • Improvement of medical diagnostics using metamaterials –The goal of this portion is to develop a wearable thin-film glucose sensor, that will produce more precise blood glucose measurements. 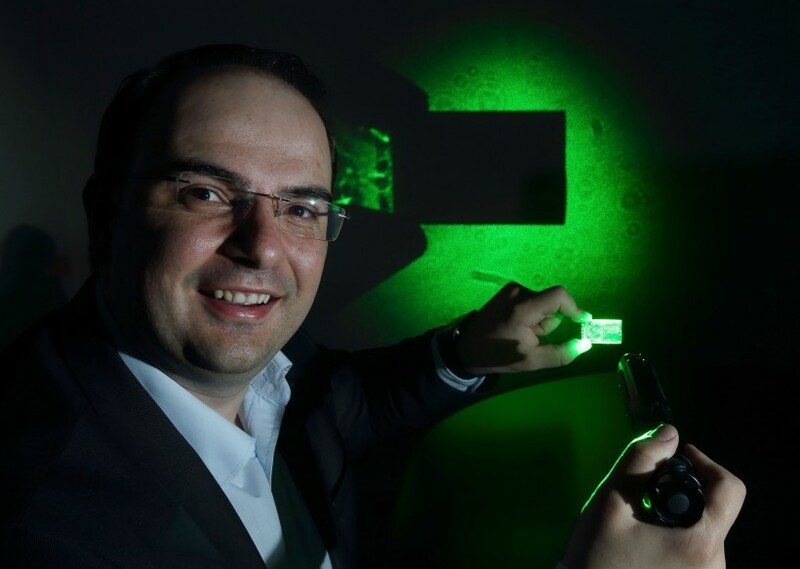 Palikaras has said he hopes to use his suite of light-altering metamaterials for commercial applications in several industries, including aerospace and defence, healthcare, and green energy. In October, the company partnered with global aerospace industry supplier Satair to produce goggles that can protect pilots and others from laser attacks. “Our partnership with Mitacs and Metamaterial Technologies Inc. allows us to recruit and train a number of new PhDs in advanced materials and nanotechnology and conduct the type of cutting-edge research that has the potential to disrupt the way the world works today,” said Dal Vice-President of Research and Innovation Alice Aiken.